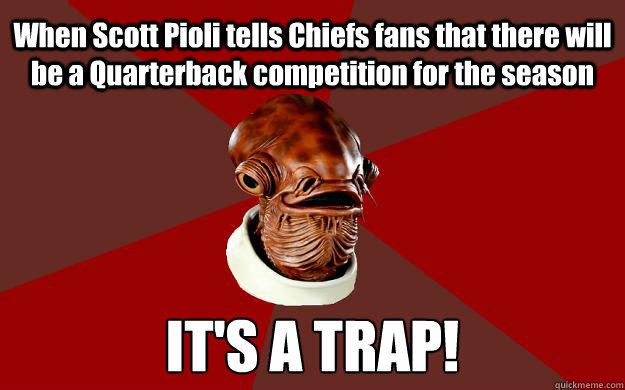 When Scott Pioli tells Chiefs fans that there will be a Quarterback competition for the season IT'S A TRAP! 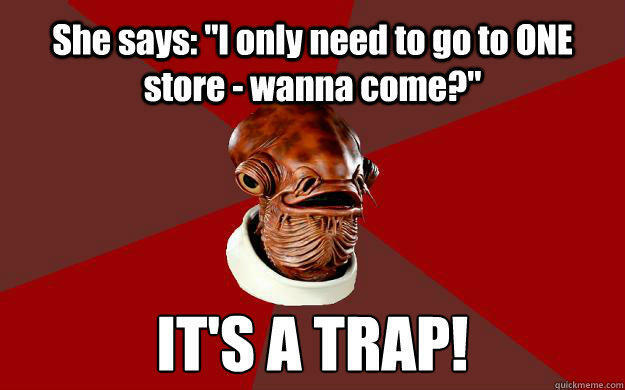 She says: "I only need to go to ONE store - wanna come?" 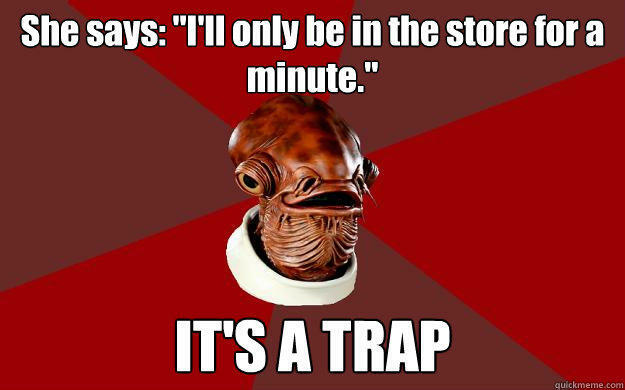 IT'S A TRAP! 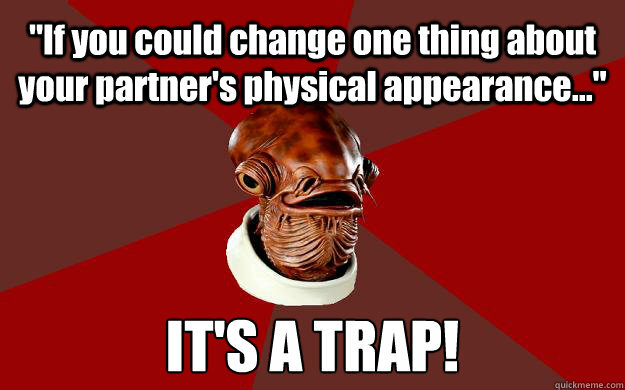 "If you could change one thing about your partner's physical appearance..." IT'S A TRAP! 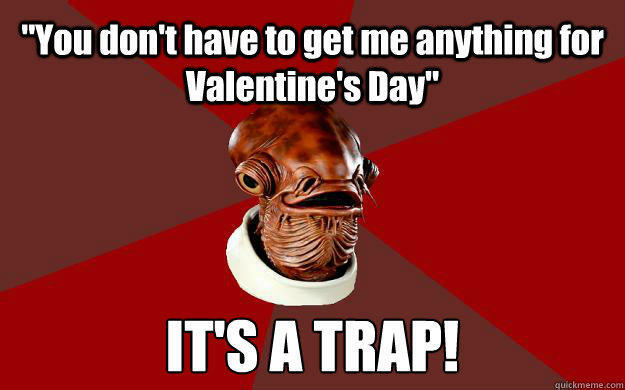 "You don't have to get me anything for Valentine's Day" IT'S A TRAP! 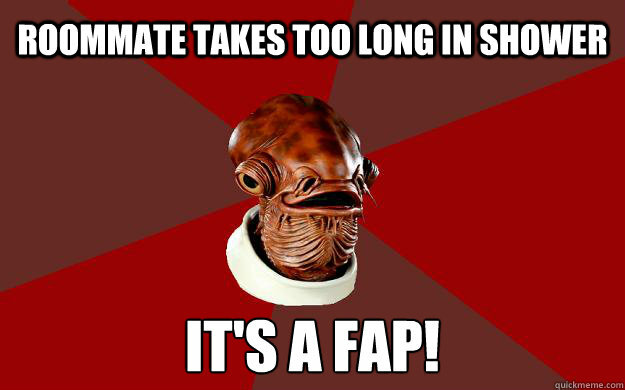 ROOMMATE TAKES TOO LONG IN SHOWER IT'S A FAP! Ah! 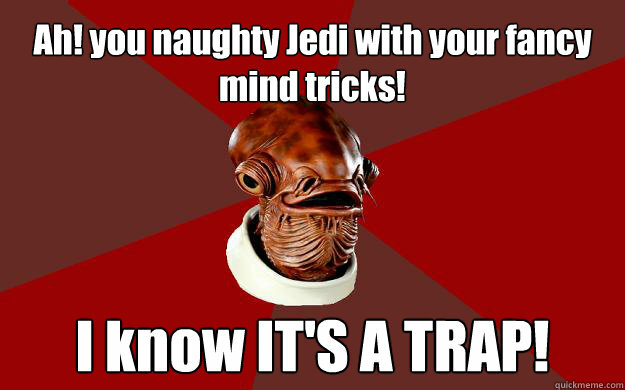 you naughty Jedi with your fancy mind tricks! 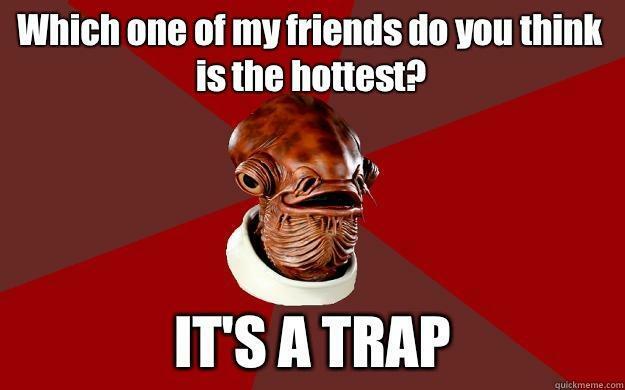 I know IT'S A TRAP! 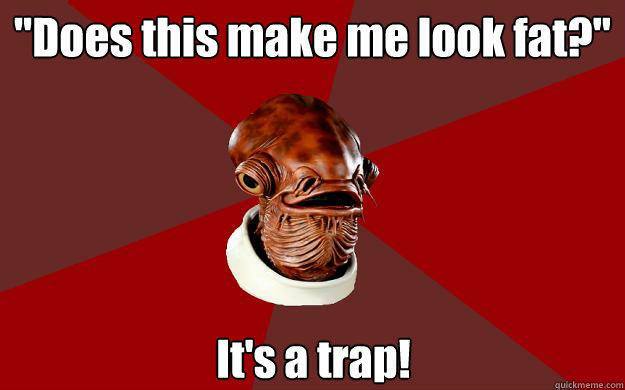 "Does this make me look fat?" 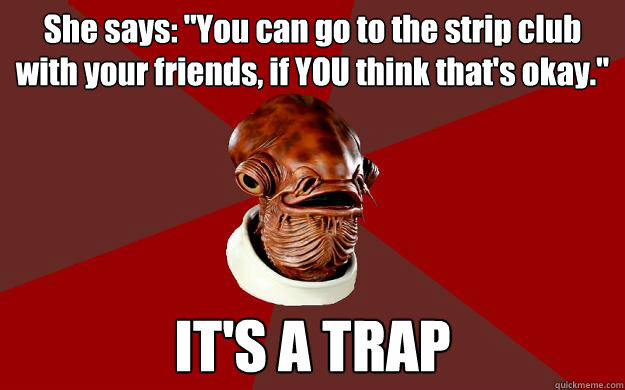 It's a trap!